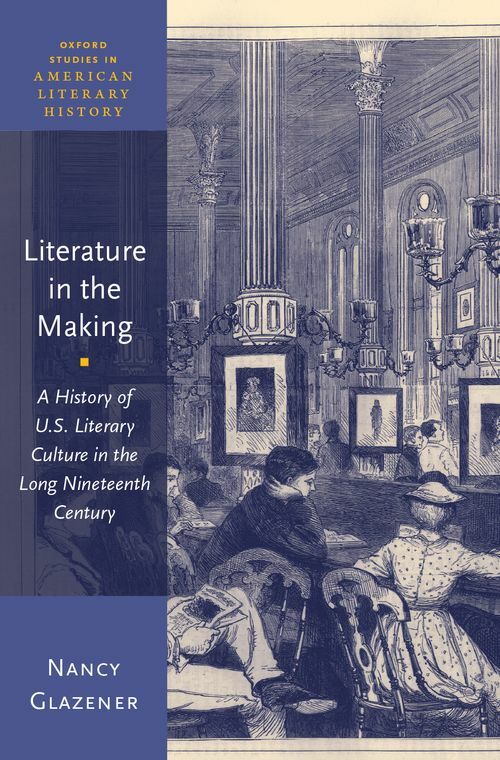 Literature in the contemporary sense, comprised of drama, fiction, poetry, and certain kinds of nonfiction prose, cohered during the nineteenth century and became the defining object of departments of modern languages and literatures in U.S. research universities. However, non-academic literary culture in the nineteenth century hosted important forms of literary study and scholarship that have been missed by scholarship focusing on literature as an academic subject. Before the reorganization of knowledge around academic expertise in the late nineteenth century, academics and non-academics interested in literary studies and scholarship partnered in ways that we might wish to reclaim or adapt. Literature was a trans-national invention, but Literature in the Making takes up the U.S. as a case study. It examines the public life of literature between the late eighteenth century and the early twentieth century, bringing together the development of literature's intellectual infrastructure, literature's operation in print culture, literature's changing status in higher education, and the surprisingly rich and interesting history of public literary culture. To take the intellectual measure of public literary culture, this study focuses on nineteenth-century Shakespeare studies in the U.S. Literary works such as Shakespeare's plays were valued for both their contributions to public life and their transcendent aesthetic effects, and the tension between these investments established a generative matrix for literary studies that's still in effect. Academic literary studies is also still grappling with the contradiction that literature was channeled into modern projects while also being entrusted with safeguarding antimodern values. Nancy Glazener is Associate Professor of English at the University of Pittsburgh. She is the author of Reading for Realism: The History of a U. S. Literary Institution, 1850-1910 (Duke UP, 1997).